There is no doubt that there is a lot of work required to ensure that you are in compliance with new General Data Protection Regulations. In the long run, however, as we’ve discussed before, good data management processes bring business benefits that extend beyond compliance, including better relationships with your customers, more efficient communications and increased brand reputation. 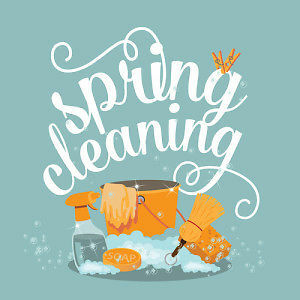 Now is the perfect time for a thorough spring clean of your data. If your current database doesn’t comply with the rules, your marketing communications will be severely hindered under the GDPR, so it’s vital to take action as soon as possible. This needn’t be overwhelming, if you follow some basic recommended steps. Does it comply with the current regulations? If not, which customers do you need to contact in order to gain the relevant permissions? What communications have they consented to? How do people currently opt in to your lists, and how can you make this process compliant? What content are they consenting to? How do you use the data you obtain? Ultimately, data that has been thoroughly cleansed and better maintained is going to reap rewards for your business. Your leads will be of higher quality, meaning you’re not wasting time and resources in chasing the wrong prospects. Your communications will be more efficient, as you will only be talking to people who genuinely want to hear from you. You can be more targeted with your messaging and build stronger relationships with prospects who value your communications, increasing your ROI and the lifetime value of your customers. Marketing to lower volumes of contacts will also mean cost savings for your business. There are also less quantifiable benefits. Targeted marketing messages to people with a real need and a genuine interest in what you have to say, mean the perception of your brand will be improved. Customers and prospects will enjoy their experience with you more and be more likely to become advocates for your business. If you need help cleansing your data, capturing email opt-ins and securing consent for marketing communications, our team are here to help! Get in touch today, to find out more.